Scientists at The Institute of Cancer Research and the Royal Marsden NHS Foundation Trust in the U.K. have found that colorectal cancer (CRC) tumors can switch off expression of a cell surface molecule that is a key target of immunotherapy, which stops the treatment from working. Using miniature laboratory-grown tumors known as patient-derived organoids (PDOs) as models of CRC, the researchers also showed how expression of the immunotherapy target could be reactivated by blocking a particular molecular pathway, and so potenitally resensitize the tumors to treatment. Colorectal cancer is the third most common cause of cancer-related mortality worldwide, the researchers stated, and while anticancer treatments can extend patient lifespan, new treatments are needed to improve outcomes further. Therapy using checkpoint inhibitor immunotherapies can increase survival in some CRC patients with hypermutated microsatellite instability (MSI) tumors, but are ineffective against the majority of cases, including microsatellite stable (MSS) CRC. “Thus, benefit from checkpoint inhibitors is currently restricted to a small subgroup of CRC patients,” the authors noted. Cibisatamab (CEA-TCB) is a novel bispecific antibody immunotherapy that effectively brings the cancer cells and cancer-killing T cells of the immune system together. One arm of the antibody binds to carcinoembryonic antigen (CEA), a glycoprotein that is expressed on the cell surface of a wide variety of tumor types. 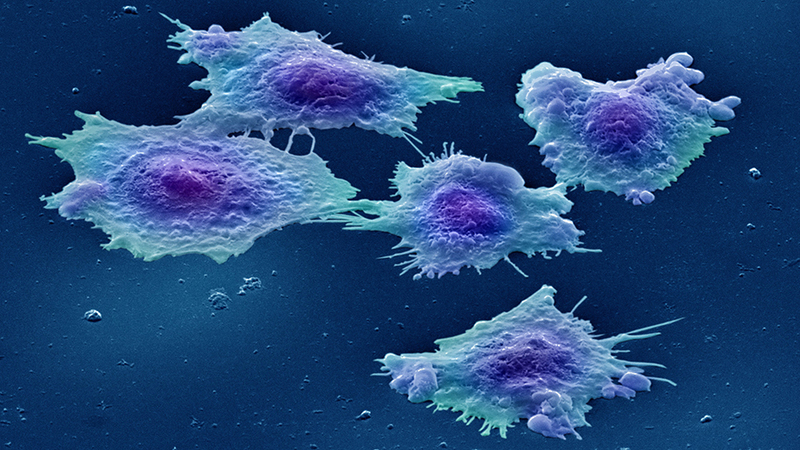 The other antibody arm binds to T cells that kill the cancer cells. Cibisatamab has shown promising results in early clinical trials, but some tumors are resistant to therapy, and studies in cancer cell lines have suggested that the effectiveness of cibisatamab is dependent upon expression of CEA on the tumor cells. “They identified CEA expression as a major determinant of cibisatamab sensitivity as only cell lines expressing moderate to high CEA levels were susceptible to T cell mediated killing,” the researchers commented. To investigate CRC resistance to cibisatamab sensitivity in a relevant laboratory model the researchers generated mini-tumor PDOs from biopsy samples taken from eight CRC patients, including seven with treatment-resistant metastatic CRC, and another with treatment naïve primary CRC, and co-cultured the organoids together with the CD8 T cells. “We used a new technique for growing miniature replicas of tumors to develop a way of testing whether patients will respond to immunotherapy,” Gerlinger stated. Initial tests with the new system first confirmed that, “as anticipated,” while organoids expressing high levels of CEA (CEAhi) were highly sensitive to treatment with CD8 T cells and cibisatamab, CEAlo PDOs that expressed only low levels of the glycoprotein were resistant to therapy. They also found that, unlike cancer cell lines, PDOs were capable of exhibiting mixed CEA expression, and these showed partial response to cibisatamab. “Taken together, CEA expression was frequently heterogeneous, showing a bimodal pattern in 50% of PDOs which has not been observed in cancer cell lines, and this phenomenon was associated with poor susceptibility to cibisatamab treatment,” the researchers stated. Examining RNA expression in individual CEAhi and CEAlo cells indicated that CEA expression was dependent upon WNT/β-catenin signaling, which is genetically activated in the majority of CRCs, the scientists noted. Encouragingly, treating PDO lines that exhibited mixed CEA expression using two different WNT signaling inhibitors led to increased CEA expression and CEAhi cell populations. “We hope that this could in future help immunotherapies work in more patients, by making cancer cells more visible to immune cells,” Gerlinger said. The authors suggest that the observed CEA plasticity may be susceptible to combination cibisatamab-based therapies that either increase CEA expression in the CEAlo cell population or which co-target another vulnerability of the CEAlo subpopulations. The reported studies also demonstrated that WNT inhibitors might feasibly be used to increase CEA expression and improve the effectiveness of immunotherapies such as cibisatamab. “Our results provided proof of principle that CEA expression can be pharmacologically perturbed and indicate WNT pathway inhibitors, which are in clinical development, as a potential strategy to boost CEA expression and increase therapeutic benefit from bispecific CEA-targeting antibodies,” the investigators wrote. Determining tumor CEA expression levels may in addition point to predictive biomarkers for CEA-targeting immunotherapies, and so indicate which therapeutic strategies will be effective.